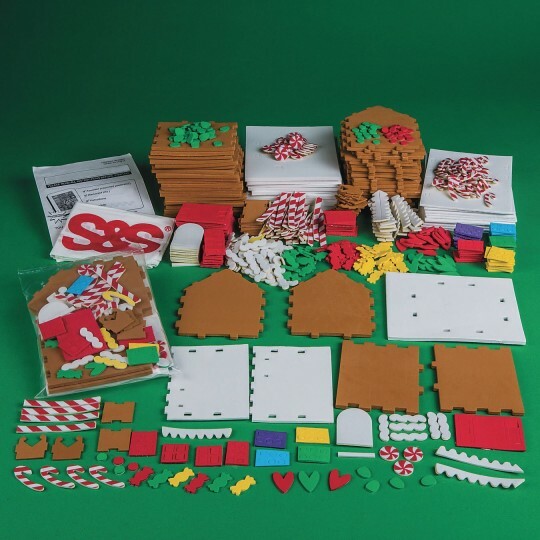 Everything you need to assemble a foam candy/gingerbread house! 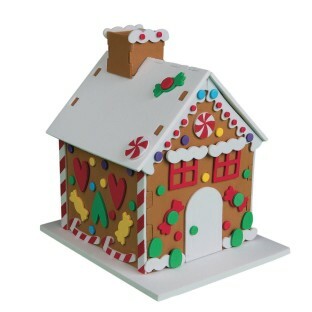 Includes foam house pieces, self-adhesive foam decorations and instructions. Each kit is individually packed for your convenience! Finished size: 6-1/8"L x 5-1/8"W x 7"H.
Our veterans loved putting these together. A great way to work together and enjoy the season. Great craft to use for bonding moments! Nice craft idea for the youth to do took a little time but fun.